Welcome to C&S Products’ FAQ (Frequently Asked Questions) section. Consider this a work-in-progress as we will be adding to this page periodically based on responses from our contact form and various input we receive from our consumers and retailers alike. Suet is animal fat. It is the most concentrated source of energy you can offer wild birds. C&S Suet is made with only the highest quality processed beef kidney fat while special processes remove impurities that can cause low melting points and spoilage problems. C&S Treats are a poured product and will become soft and pliable at around 100 degrees (F). C&S Delights are refined even further and pressed to produce a “No Melt” suet that can be fed during the hottest temperatures. C&S Suet is reasonably priced and eliminates the mess of home production. Find more information on our quality line of suet products. Why do birds eat suet? Suet is one of the top three foods to feed wild birds. Birds have high metabolic rates, so it is not unusual for birds to consume 1/4 to 1/3 their body weight worth of food a day! Offering suet, mixed with the highest quality grains, nuts, fruits, and flavored pellets provides a high caloric energy source. C&S Suet is one of the first foods birds will offer their young. Check our wild bird feeding page for more information on how easy it is to get started. Birds seek out food most actively early in the morning and again just before nightfall. This gives them the energy burst they need to make it through spring nesting, breeding and chilly winter nights. The wide variety and product quality make C&S Bird Suet an extremely desirable food source for our many feathered friends in all seasons. How do I feed suet to wild birds? Wild Bird Suet is traditionally fed in vinyl-coated wire cages. They are inexpensive and durable. Wire dimensions vary depending on how starling or squirrel resistant you want your feeder to be. The cages, or baskets, hold from one to several C&S Suet Cakes or Bricks. The cages may be hung from branches, tree trunks, or hooks. There are also several designs available combining wire with wood or plastic. View our complete line of Suet Feeders and Baskets. When do I feed suet to wild birds? ALL YEAR ROUND!!! In the past, people fed suet only in the fall and winter, due to poor quality and misconceptions of feeding wild birds. Winter is a good time for the beginner to start feeding because most trees are bare of foliage making the birds very visible. You are also more apt to see birds in flocks in the winter time. The growth and popularity of summer bird feeding was to be expected. You will have constant activity on your feeders as they flit back and forth for quick snacks during their busy day. C&S’s “No Melt” Suets make it easy to attract insect eating birds to your yard in warm weather. Year round feeding allows you to observe and enjoy wild birds when they are the most active and colorful. What wild birds eat suet? If you have never fed C&S Suet, you have missed some great neighbors. Common birds that eat suet are downy, hairy, red-bellied, and pileated woodpeckers. Chickadees, northern flickers, nuthatches, and starlings are also avid suet eaters. By adding C&S Suet to your wild bird’s menu, you will also attract wrens, warblers, thrushes, brown creepers, brown thrashers, and blue jays. You can also attract orioles, pine siskins, titmice, and the ever popular bluebird. No feeding station would be complete without C&S suet baskets! What flavors do I feed? C&S Suet flavors are available in treats and “No Melt” delights. Start with a suet that is most appealing to you. Ingredients vary from peanuts to papaya, hot pepper to almond, berry to cherry, and raisin to insect. Special blends are available including Oriole, Bluebird and Woodpecker. Do you use artificial coloring and/or milk in your products? No. We are pleased to announce the removal of all artificial coloring and the removal of milk (used as a binder) from all of our products. 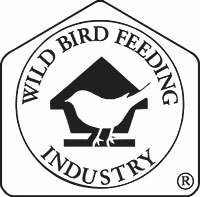 We have made sure that the wild bird acceptance is the same, if not better, without the artificial coloring and milk as a binder. We tested a variety of natural flavorings that would enhance the bird acceptance. The testing has been very successful. As the various label inventories are depleted, we will begin using new labels with the artificial coloring and milk removed from the ingredient list. This is a new fat based product that uses a unique formulation and production process to produce. Nuggets™ have proven to be attractive to a larger variety of wild birds than even the finest selection of quality seeds. How do I feed Nuggets™? The Bird Nuggets™ line may be fed with Nugget/Peanut/Sunflower feeders using 1/3″ diameter wire or platform feeders. These feeders will only attract the clinging type of bird like Nuthatches and Chickadees. What is a Snak™ Cake? C&S Snak™ Cakes are produced with natural adhesive binders holding different mixes together in a cake form. These cakes vary in size from 6 ounces to 6.5 pounds. Why would I use a Snak™ Cake? Snak™ Cakes create less mess and waste than many conventional seed mixes. Snak™ Cakes may allow you to feed in places that you wouldn’t normally place seed feeders. You’ll also find that Snak™ Cake feeders attract a different type of bird than conventional bird feeders. Squirrels are the bane of most birders. However, at C&S, we prefer to “FEED ‘EM, DON’T FIGHT ‘EM.” This is why we have developed a full line “Squirrelog” products and feeders. Not only do squirrels provide hours of entertainment, it is also to necessary to divert them away from bird suets and feeders because they can cause damage and steal needed food from wild birds. This is why we developed our line of Sweet Corn Squirrelogs—to have the best of both worlds.